A home vacuum sealer, as the name suggests, can preserve your food items by getting the air out and sealing the bag. You never know how useful such machine can be until you get one. 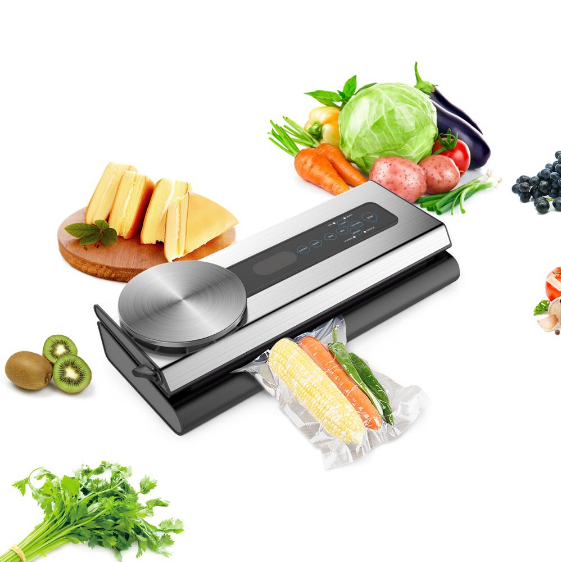 Here, we put together four great things that a vacuum food sealer can do. 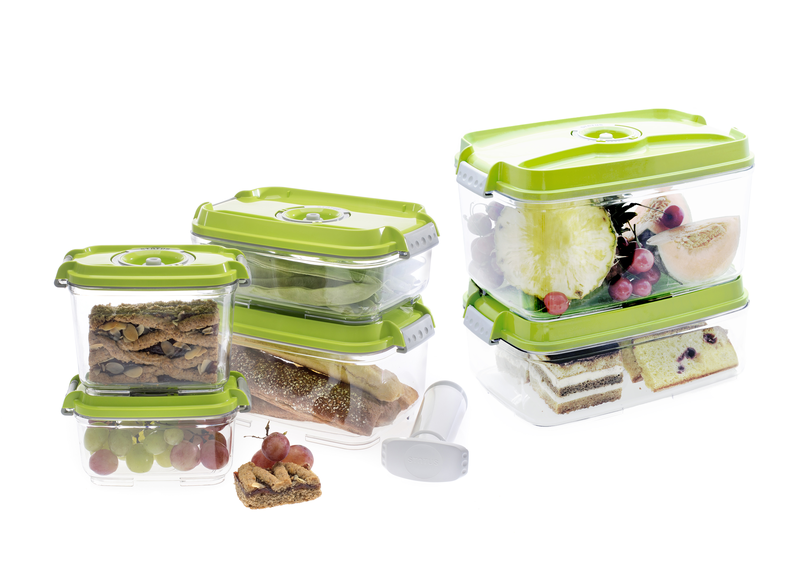 A storage container can be plastic bag, bottles, jars and more. Household Vacuum sealers designed and manufactured by Yumyth comes with a full combination of features. Yumyth VS6680M, all-in-one vacuum sealer with kitchen scale and a built-bag cutter, fully automatic. Sous vide is an innovative and popular cooking method among many home cooks and restaurants’ chefs. A vacuum sealing machine can help prep your meat before cooking with an immersion circulator. 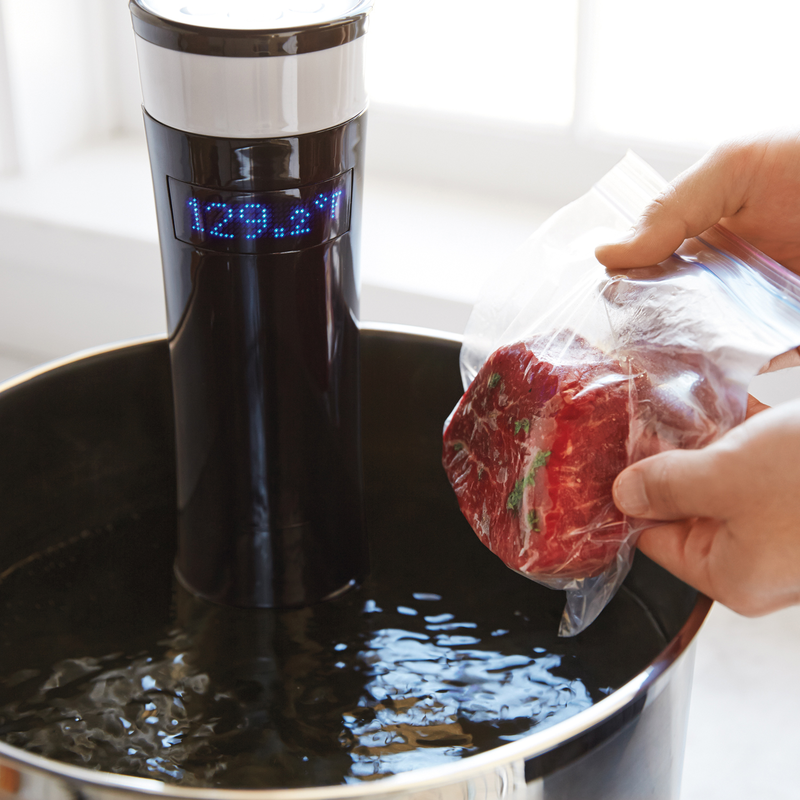 A vacuum bag where the sous vide dishes reside can withstand high temperature. By sucking the air out, the vacuum bag will be submerged in the water instead of floating and evenly cooked. Yumyth’s sous vide tool, immersion circulator with adjustable temperature control and easy disassembly for cleaning. We all know that some metals from iron to silver are easily corroded when exposed to air and moisture over time. For this reason, you can use vacuum sealer system to keep the shine in some items made of metal such as cutlery, medals, rings and other metalware. Mind you: before vacuum sealing, you should remove the dust and moisture from the surface of the metal items with a cloth. For some stuff like fork and knife that is pointed, the best bet is to wrap it with thick paper lest it would puncture the vacuum bag during the vacuum process. By the way, you can also get your clothes, watch and other personal belongings packed with vacuum sealer bags for travel, which can keep from moisture and prevent against odors. Marination is not strange to most people since most home cooks will include this cooking method into their recipes. Marinating meat, vegetables and other food items is beneficial since it tenderizes the food and enhance the flavor. In the past, food would be marinated for up to hours, which was quite time consuming. Thanks to the advent of meat vacuum sealer, a quick marination can be achieved within 30 minutes, sparing you lots of trouble and time. During the marinating process, the fibers and cells of the food will be opened up and absorb the marinade mixture. In this way, more flavor will be absorbed into the food.